Evan Nehring: Naturalism: Proudly Godless - Is That a Problem? Naturalism: Proudly Godless - Is That a Problem? Science is the primary arena of conflict where naturalism and Christianity lock horns. Evolutionists counter creationists. Pastors counter psychologists. Environmentalists counter theologians. There are scientists with devoted Christian faith, to be sure, but the field is rife with conflict. Naturalism starts with the five senses. What we can see, smell, touch, hear and feel is all we can know. Right and wrong based on divine revelation? No. Deep spiritual purpose based on a divine plan? Not so much. This sort of new atheism is being popularized by the works of such as Richard Dawkins and Christopher Hitchens. I had a couple of summer classes in downtown Minneapolis, 1991. I had walked the graduation line in May but needed to fill out my credit requirements. One of the classes was Ethics with Dr. Gordon Anderson. I would take my textbook and head to the beach to read for a couple hours in the sand before heading to class or working on my weekly papers. A realization crystallized that summer: there’s biblical reality and there’s everything else. All of the “everything else” philosophers wanted to make something other than God the foundation of right, wrong and the meaning of life. A miracle is a violation of the laws of nature; and as a firm and unalterable experience has established these laws, the proof against a miracle, from the very nature of the fact, is as entire as any argument from experience can possibly be imagined. By definition, naturalism rules out the possibility of the supernatural. All that matters is matter. We are not spiritual beings but complex chemical reactions resulting in a consciousness that can interact physically with our world. Writers like Ralph Waldo Emerson and Henry David Thoreau have provided intellectual foundations for self-reliance, rejecting any submission to God. Ideas that were radical in the mid-1800’s have become mainstream in American culture today. Don't be distracted: our disagreement with naturalists isn't about whether God took millions of years to make us or only a short time; you can believe either way about that and still be a Christian. Our disagreement with naturalists is about whether God had anything to do with our appearance on the scene at all -- whether we're "intended" or "accidental." By directly contradicting the creation story of the Bible, evolution attempts to undermine all biblical claims about the existence of God and his interactions with man. I'll have a couple more posts on atheism/naturalism. Stay tuned! Have you bumped into any atheists lately? What do you feel is their strongest argument? If you're an atheist, why? David Hume. Enquiries Concerning the Human Understanding and Concerning the Principles of Morals, ed. L.A. Selby-Bigge, 2nd ed. (Oxford, 1972), 114, quoted in http://www.humesociety.org/hs/issues/v16n1/fogelin/fogelin-v16n1.pdf. J. Budziszewski. How to Stay Christian in College. (Colorado Springs, CO: TH1NK Books, 2004), 52. Thanks for your post on this important topic. It is unfortunate that naturalistic assumptions muddle the thinking of many otherwise brilliant scientists and philosophers. But I think we need to be clear that while science is a battleground, it is not the enemy. The enemy is naturalism. One of your subheadings, "Science vs. Faith," can imply otherwise. I would suggest "Naturalism vs. Faith" as more appropriate. The battle is between a naturalistic approach to science (one that excludes the possibility of God a priori), and a non-naturalistic approach (one that is open to the possibility of God). Science in itself can be a noble endeavor - an exploration of God's good creation. The battle is over how we approach it (method) and what we seek to do with it (goal). Blessings my friend! Keep up the good work. Elmer, I thought enough of your point that I changed the subheader from "Science vs. Faith" to "Naturalism vs. Faith at Science Stadium". Yes, science is the arena not the enemy. All truth is God's truth and genuine pursuit of truth will lead us to Him. Too bad that so much of today's science institutions aren't genuinely seeking the truth. Seems like they're mostly seeking grant funding. Tough choice. Theistic evolution doesn't square so well with creation. But people can hold many views that don't square with Scripture while we grow in our faith. It's a little scary to think of that, but on the other hand I love the relational nature of the gospel. We place our faith in Jesus, fall in love with our Creator, receive his stunning forgiveness, and spend the rest of our lives becoming more like him. Great questions! I'd love to sit under your teaching someday! And wrong here as well, science - by the very definition of it - studies the natural. If your god-claim is, that god is supernatural, it cannot be studied by science. If this is what you claim, then it's YOU, not the scientists, who are making sure god stays out of science. It's always helpful to speak for a person rather than just ask them what they believe. I thought it worth adding that I don't think what I've said differs from your position. You speak of science as the 'arena' of the conflict. I'm just making the point more explicit. 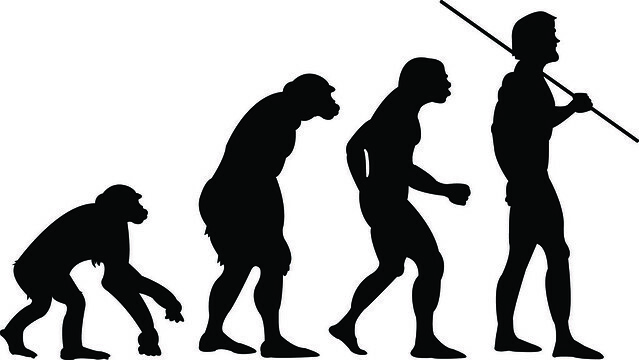 Here's another thought: Is evolution 'science'? Isn't it more a theory about prehistoric events that many scientists try to support with their science? - just a question from a non-scientist. Ah, it seems this is another area where theory is sold as fact. Truth has become whatever Hollywood and the evening news anchor can stretch our imaginations to believe. There's so much deception. Has there ever been a greater time for the light of truth to shine? For principled believers to demonstrate the marriage of love and truth? Evan, this is just so wrong. A scientific theory explains facts the best way we can. A scientific theory only becomes a theory when there's mountains of evidence for the many different hypotheses that led to the development of the theory. If you don't get that simple fact (yes, look it up, look up the definition of "scientific theory"), then why are you writing posts like this? You couldn't be more wrong?! Elmer, I'm really stoked to interact with your comments. We're just working outside in the backyard today so it might be a little later. Thanks so much for the thoughtful interaction.